Same as last year, this page will be about the novels, audiobooks/audio dramas, and comics that I consider to be the best among those that I’ve read for each month. As usual, drop me a line if you pick up any of them, and/or let me know what you think! 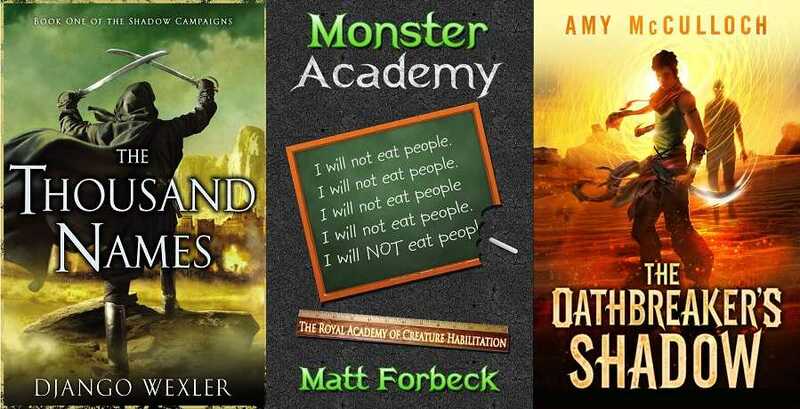 Top 3: The Shadow Campaigns #1: The Thousand Names by Django Wexler, Monster Academy #1: I Will Not Eat People by Matt Forbeck, and, The Knots Sequence #1: The Oathbreaker’s Shadow by Amy McCulloch. 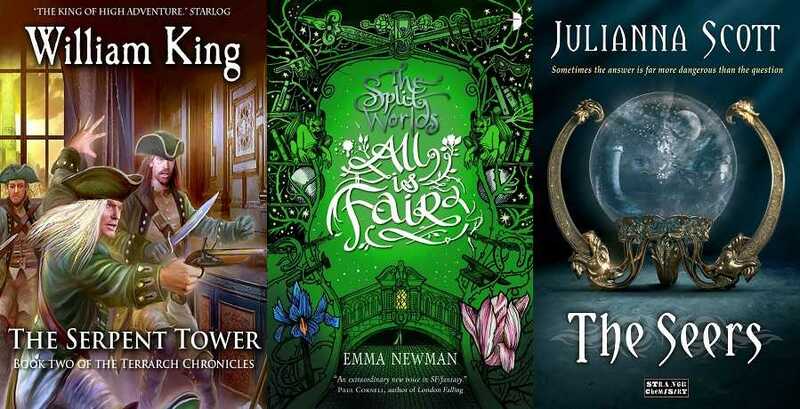 Honourable Mention: The Terrarch Chronicles #2: The Serpent Tower by William King, The Split Worlds #3: All Is Fair by Emma Newman, and, The Holders #2: The Seers by Julianna Scott. Top 6 [Comics]: Green Arrow #28, Black Widow #2, Unity #3, Velvet #3, Samurai Jack #4, and, Justice League Dark #27. Honourable Mention [Comics]: The Phantom Stranger #15, Inhumanity: Superior Spider-Man #1, The Movement #8, Coffin Hill #4, Curse #1, and, Aquaman #27.